A deadly drought in Afghanistan is causing a humanitarian crisis that has displaced more people this year than the war between the government and the Taliban. The BBC's Secunder Kermani reports from Herat. Outside a registration centre, many seem desperate. One woman sitting with four young children tells me she has recently arrived from the northern province of Faryab. "If we had any money we would have never come here. Our bad luck brought us here," she says. "There was no rain for more than a year. Everything dried up. We didn't even have water to give to our children. On top of that there was fighting between the Taliban and the army. It was chaos." Others described being forced to sell their livestock or borrow money simply to survive. Agriculture is one of the country's main sources of income. The country is currently preparing for long-delayed parliamentary elections scheduled for 20 October. But many Afghans complain that their political leaders are too detached from the issues facing them. The hundreds of thousands of people in Herat certainly have a more pressing concern at hand - the impending arrival of the cold winter months. Mr Assemy believes the cold weather is "a major concern" as it seems unlikely that the displaced people will be able to return to their homes in the coming months. "The weather will be very harsh. 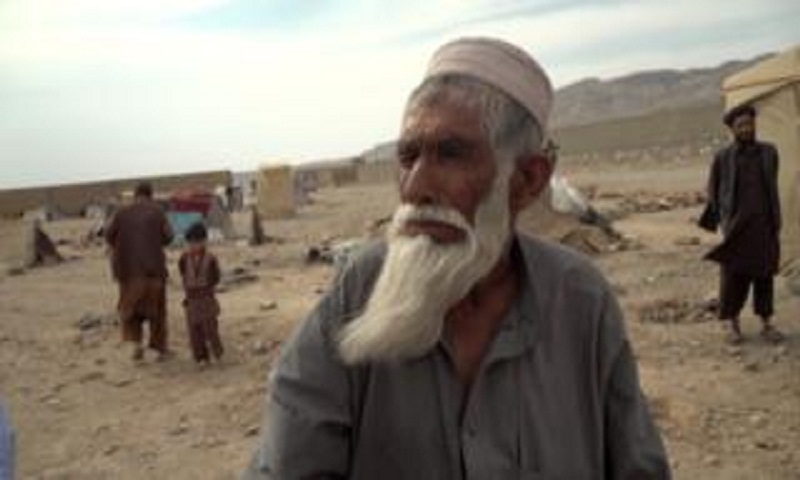 This population will not be able to survive in tents," he says. "We haven't seen such a large scale disaster in the last 18 years."